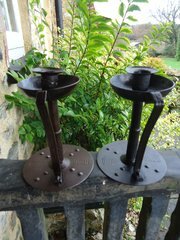 DescriptionMatched pair of Goberg wrought iron candle holders by Hugo Coberg- one being slightly darker in colour than the other. Both measure 19cms high and have a diameter of 14cms at the base. One is stamped Coberg. 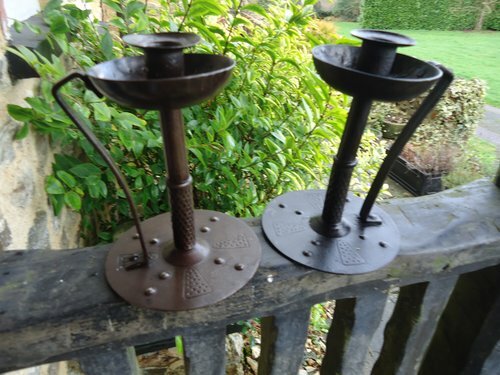 DateArts & Crafts 1900 Price£175.00 Postage within the U.K. only included. Not internationally.